Mathematical puzzles, brain teasers, and topics that enhance the regular curriculum are part of an Israeli mathematical enrichment program being adopted by the Abrams Hebrew Academy in Yardley, Pa. The program, known as Math-By-Mail, was developed at the Davidson Institute of Science Education of the Weizmann Institute of Science in Rehovot more than 30 years ago. The program’s goal is to encourage creative thinking among students who show interest and talent in mathematics. Abrams will be the first school in the United States to use the program. More than 2,000 students in Israel and another 1,000 internationally participate in Math-by-Mail. Participating countries include Romania, Mexico, Canada, Australia, and Brazil. The program is available in Hebrew, Arabic, English, and Spanish. Throughout the year, the program sends out a series of booklets on different topics. At Abrams, students will work independently on the booklets at home as well as in school, with guidance from Eisen and Rubillo through the more challenging problems. Weizmann mathematicians and program directors Yossi Elran and Michal Elran will interact with the students via the Internet. Any student in grades three-nine who wants to participate can, according to Eisen. 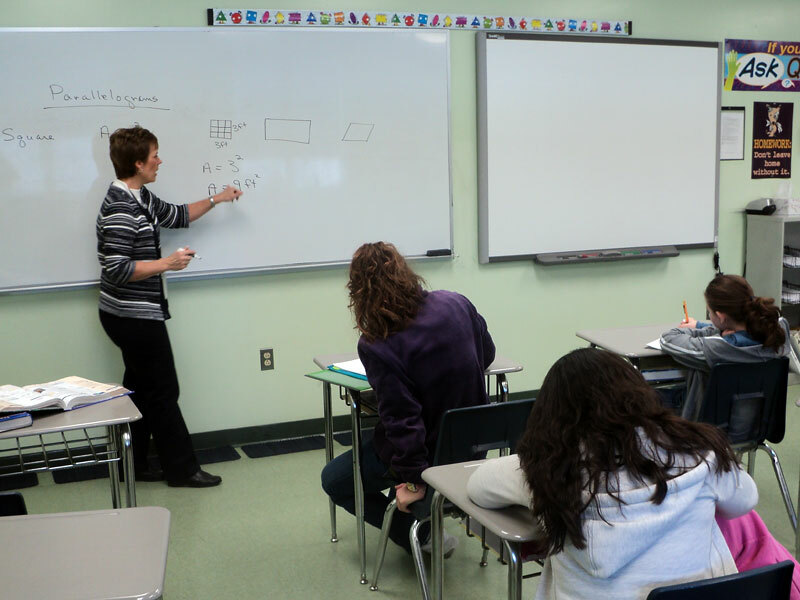 Math-by-Mail was introduced to students on Feb. 9, following teacher training and an orientation for parents. The program will launch more fully in September, adding an on-line forum through which students can interact with international peers.